Very Reverend Archpriest Michael Hutsko is interviewed by Lisa Schugardt, from SSPTV News, Hazleton, Pa. concerning the Sunday, August 27, 2017 Call to Prayer Pilgrimage in Centralia, Pa. 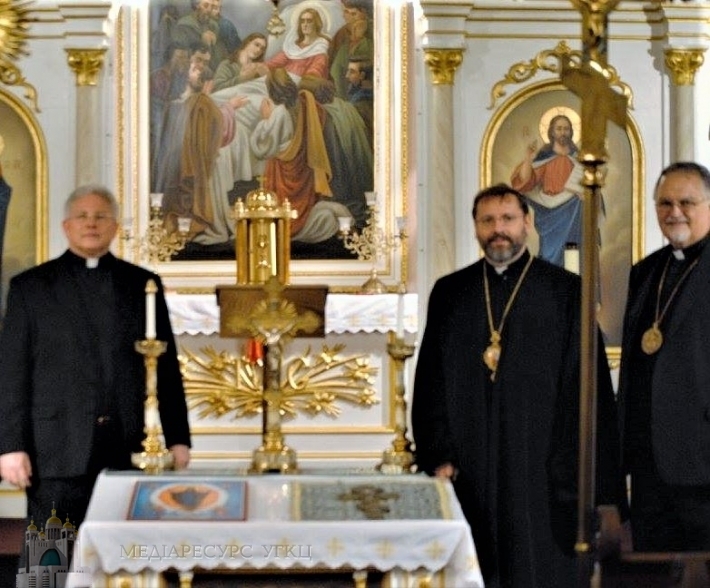 This Pilgrimage was inspired by His Beatitude Sviatoslav during his historic visit to the Centralia church in November 2015. He marveled at the continuing presence of the church in Centralia, where an underground mine-fire resulted in the abandonment of the town, the demolition of almost all buildings and the relocation of all but less than ten residents. Patriarch Sviatoslav felt a sense of true holiness which pervades the entire church property. His desire is for all people of faith to come and experience this holiness, sanctity and serenity as pilgrims to this holy place on the mountain.